At The KARS Institute, we offer a variety of training, presentations and workshops to assist you in not only gaining information but transforming it into dynamic knowledge by applying the strategies, tips and insights presented. 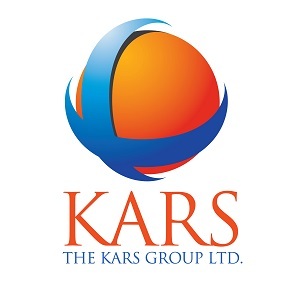 The KARS Academy: The KARS Academy provides self-paced courses on a variety of topics that promote both personal and professional development and success. Designed for small businesses, nonprofits, educators, community organizations and individuals, The KARS Academy combines both presentation of information with strategies for application that facilitate knowledge acquisition. KARS Lunch N Learn Series: The KARS Lunch N Learn Series are mini-workshops on a variety of topics of interest to small businesses and nonprofit organizations combined with Lunch N Learn Idea Exchanges where participants meet virtually to exchange ideas and brainstorm to discover solutions to problems that are facing members of the group. The purpose is to have a collaborative exchange in a supportive environment with others who understand the issues that you're faced with. Customized Presentations & Training: If there is a particular topic and/or method of delivery that you would like to have presented to your group, business, organization or nonprofit, please don't hesitate to contact us. We design specialized training, presentations and speaking engagements to fit your particular needs. We've successfully presented to groups at conferences, symposiums, board retreats and company training sessions. Take a moment to click the links above and browse the options available, and join us as we guide you in the process of acquiring the knowledge to assist you in making your organization or small business better.